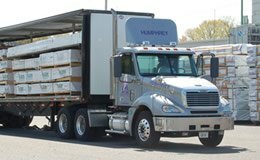 Holden Humphrey Company is a building materials distributor located in Chicopee, Massachusetts. We serve lumber dealers, manufacturers and distributors throughout New England, New York and Northern New Jersey. HHC was founded in 1987 by college buddies Lance Humphrey and Peter Alexander. Their working partnership testifies to the strong relationship building that teams up great suppliers, dealers and personnel. For the past three decades, Holden has concentrated on top quality siding, roofing, decking, and trim products for the great Northeast. 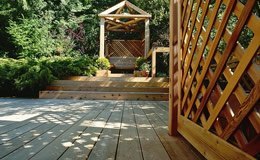 While Cedar is still our flagship product, we also specialize in composites, tropical hardwoods and accessories. HHC also employs a full compliment of staff, including sales people, yard workers, and other professionals.It goes without saying that our success is not without the tireless efforts of many. We at Holden Humphrey Company would like to extend a special note of thanks to our current customers and suppliers, without whom our continued success would not be possible. We also put forth the hand of trust so that our futures may grow together.